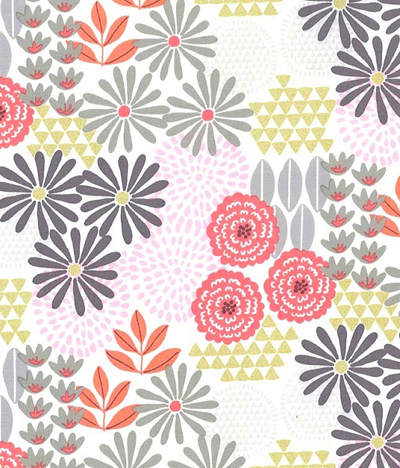 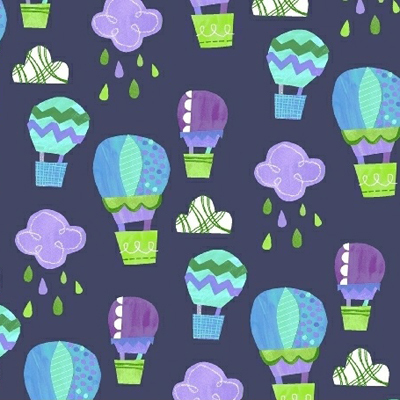 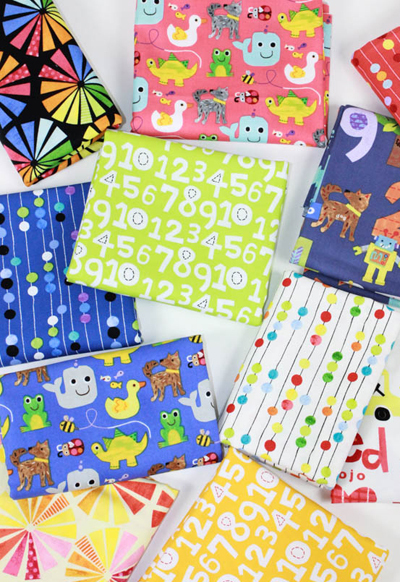 Today's posts are all about fabrics and my first port of call was online store Fabricworm to see what was new. 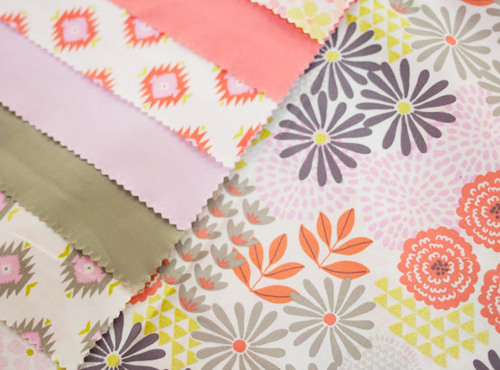 The first collection to catch my eye was Glitz Garden (above & below) designed in-house at Michael Miller and released this July. 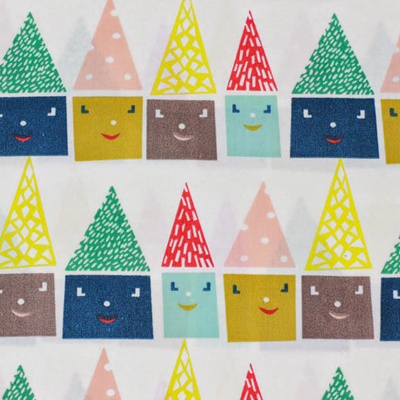 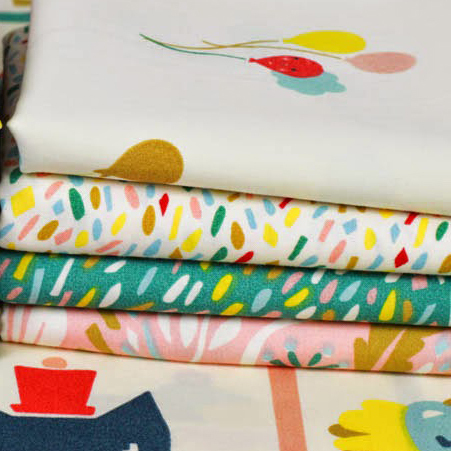 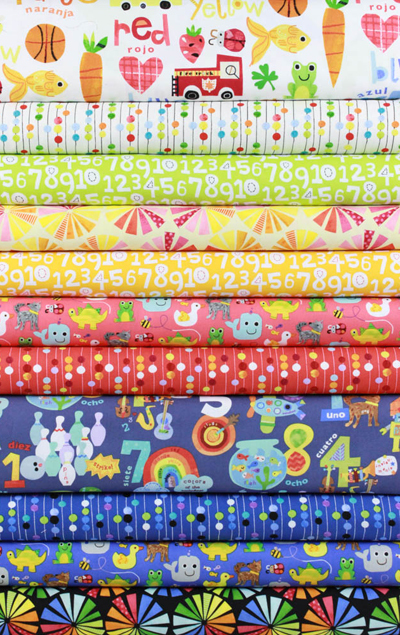 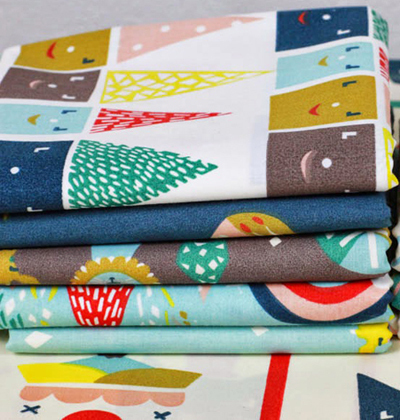 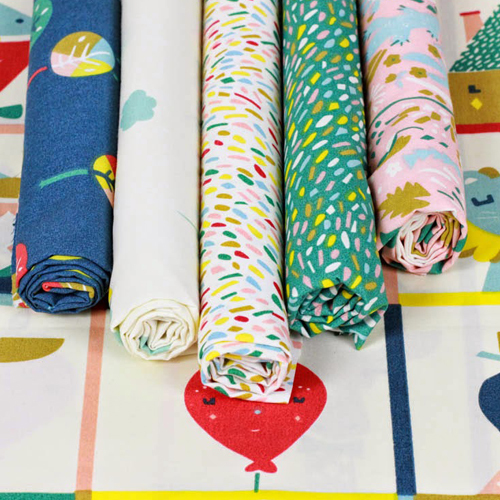 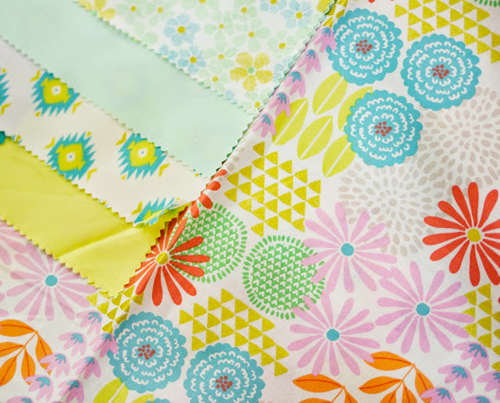 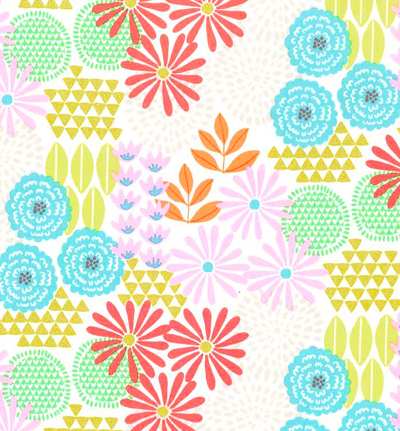 I also loved the Fabricworm snaps of Emily Isabella's 'Happy Town' collection. And from Jill McDonald at Windhams they have snapshots of her new 'Colour & count' range for little learners.